Claim: Census Bureau Faked Unemployment Numbers. Discussion in 'Conspiracy Theories' started by AluminumTheory, Nov 20, 2013. After all, hasn't the unemployment rate been consistently going down anyway? 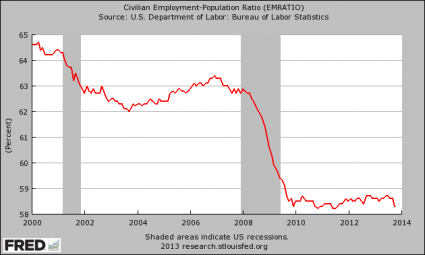 "The Unemployment Rate Has Been Steadily Going Down"
So are we in an "employment recovery"? 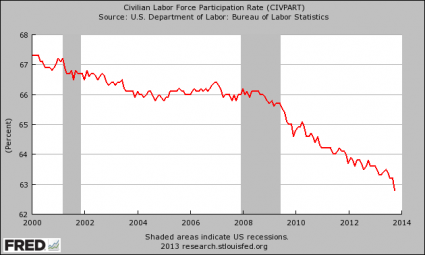 If the labor force participation rate was still exactly where it was at when Barack Obama was first elected in 2008, the official unemployment rate would be about 11 percent right now. People would be running around going crazy and wondering when the "economic depression" would finally end. But when people hear "7.3 percent", that doesn't sound so bad. It makes people feel better. That's more difficult than getting into Harvard. The Ivy League university accepts 6.1% of applicants. 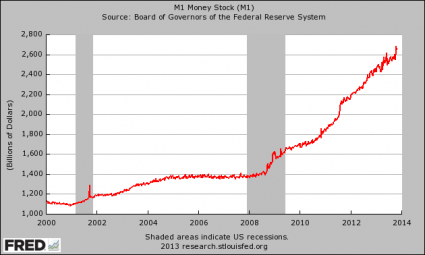 But the Federal Reserve certainly doesn't want everyone running around talking about "Jimmy Carter" and "stagflation" because then people would really start pressuring them to end their wild money printing schemes. 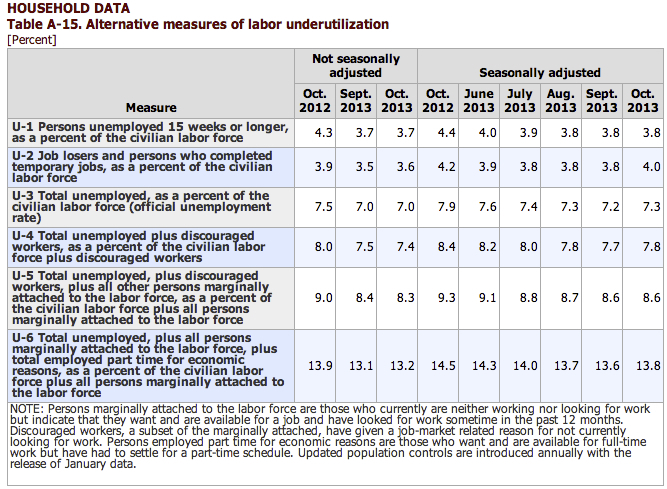 "Quantitative Easing Is Economic Stimulus"
But here is some info regarding how unemployment numbers are calculated. This is pretty interesting stuff, is there something in particular you're trying to debunk? More investigative at this point. Doesn't seem to much to verify at this point. But I suspect this will gain traction so it's worth keeping an eye on. What's the actual story here? Some guy made up some numbers (more than twelve) to fill his quota, which might have made the results go slightly up, down, or stay the same? Seems like there's a lot of bunk simply being repeated in the OP. What's the actual individual claim of evidence? We dont know we will have to wait for a investigation . Which means its unlikely we will ever know . The Labor Department requires that each division of the Census hit a 90% quota of households (phone or door to door). Some sections were coming up short, and according to the whistleblower Julius Buckmon, who was in a division coming up short, he was told by higher ups to literally fake the remaining households that couldn't be reached, giving inaccurate results. It seems all we have at this point is Julius Buckmon's word. There are supposedly more people than just Julius Buckmon doing this, although the amount is unknown. This is something time will tell. The higher ups who gave the order never specifically said to fill in the blanks one way or the other , employed or unemployed, etc. which to me says if they really are doing this, the conspiracy would shift towards some higher ups just trying to meet their 90% quotas in a dishonest manor, but not necessarily rigging it one way or another for some political reason. If people are faking data simply to meet their quota, they would generally just make the data look similar to the data they have already collected. So it would make the data less statistically valid, as it would be based on a smaller sample, but would not necessarily change the outcome. If someone wanted to change the outcome, a better way would simply be to tweak existing data at the collection stage. Basically the claim is that Obama and or the Democratic party encouraged the census to falsify data to Make unemployment numbers to look better and win re election. I saw coverage of this on the news last night. And although info is limited at this time, I think is worth keeping an eye on because I'm sure there will be more 'info' to this story. From day one there have been CTs that claim Obama stole the 2012 election and this would end up bolstering those claims. Not taking a side on the issue here, but rigging numbers to win re election would be a serious charge, so I think it's worth looking into. The U.S. Census Bureau said Tuesday that a source named in a New York Post story claiming it had "faked" unemployment data hasn't worked at the Bureau since 2011. A Census spokesperson confirmed to Business Insider that the Census Bureau employee quoted in the story, Julius Buckmon, has not worked there since August 2011. This was first reported by CNBC's Steve Liesman. The Post story never mentions this fact. A spokesman for the Post didn't immediately return a request for comment as to why. "We have no reason to believe this isn't an isolated incident," the Census spokesperson told Business Insider. "This was an employee who was willfully disobeying Census procedures and disobeying the law." 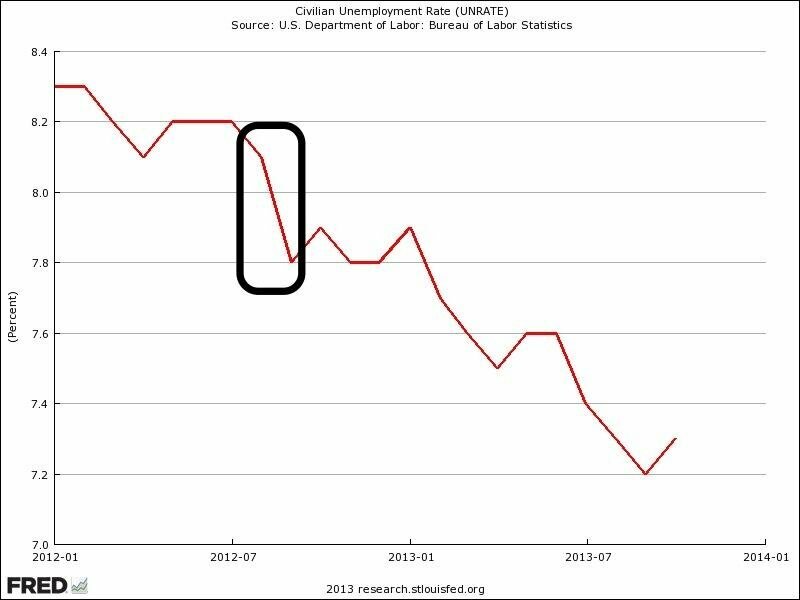 This source is also responsible for the allegation that a weird-looking jobs report in September 2012 — which conservatives at the time suggested could have been intentionally manipulated — was "faked" to produce a decline in the unemployment rate from 8.1% in August to 7.8% in September. The Post story also cites confidential documents — but all of the issues cited from the documents are from 2010. The Census spokesperson said that the Bureau has more than 7,000 field representatives like Buckmon, so it would be close to impossible for one employee to have a significant effect on the overall report. Others, like Business Insider's Joe Weisenthal, also pointed out issues with the Post's story, like the fact that the September jobs report was very much on trend with the declining unemployment rate. Weisanthal's piece does a very good job at looking at the actual figures, and not just some vague "whistleblower" rumors.
. While it's true that at the time the September Jobs Report looked very weird, in retrospect that drop-off in the unemployment rate looks totally on-trend. The report uses statistical methods that are mandated by law. They are required to count things a certain way, so the figures are consistent from year to year, and so trends will be visible. The NY Post story doesn't lay the blame at the feet of either the Obama Administration or the Democratic Party. While Obama may have benefited from the actions, the blame is being place on bureaucrats padding numbers to meet their quotas and keep their jobs. The blog then takes the story and puts its own spin on it and attempts to sell all the panic oriented products around the article. Sure iv seen it for years and then a week later they come up with revised numbers when no one is paying attention . Like have a front page story then a week later in the middle they print a retraction . How they get these figures is explained on this page, which goes into great depth as to how the survey works. @Joe, that should answer your questions. Sure I trust the minister of propaganda or the government to tell me the truth ? http://www.people-press.org/2013/10/18/trust-in-government-interactive/ Much like Jay Carney when he was asked about this story he labeled it a conspiracy . If someone (like, say, Glenn Beck) thought these figures were faked, then they could easily pay someone to do the same survey using the same methodology, and see if there's any statistical difference. They don't because they know it's going to be the same, and there's more milage to get from rumors than from actually figuring things out. And very easy to check if it is being manipulated. So why does Beck not check? Because it's easier to yell "the sky is falling" and sell they next wave of survival products than it is to actual do the research to prove the claim. Time will tell as usual on these things. Many subjects that have been posted on the Blaze have eventually been picked up and confirmed by the Mainstream media(Finally), like that of the Benghazi scandal, and others have not. So, it is a crap shoot. Either they did fudge the numbers or not. At some point we might find out. With this administration, I would not put it past them. They seem to make the Nixon admin' look like choir boys. History will judge at some point in the future. One thing is for sure. That Hope and Change he spoke of is not exactly what many had hoped for, and to most of us, has been a horrible dream. That is about the extent I think I wish to get into when it comes to my views or opinions on politics. So it's panning out to fall in the 'nothing as usual' category? I think "mountain out of a molehill".